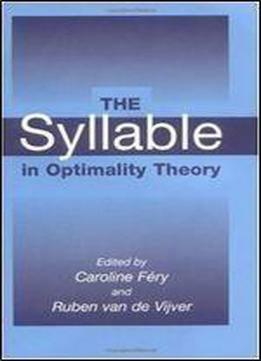 This book provides an overview of the role of the syllable in Optimality Theory (OT) and ways in which problems that relate to the analysis of syllable structure can be solved in OT. The contributions to the book show that the syllable not only sheds light on certain properties of OT itself. They also show that OT is capable of describing and adequately analyzing many issues that are problematic in other theories. The analyses are based on a wealth of languages.